On this page you will find a list of sailing movies and documentaries where boats and ships are playing the leading role or are part of the film's decor. Some sailing films have very few or even no boats in them, but they have a connection with the sea or the ocean. There are many sailing movies and documentaries around, so if you have one in mind that belongs in this list, please click here and share it with your fellow sailors! And why not share Your personal Top 3 of best sailing movies? Click here and join in! This one was made in 1992 in the USA and is a very funny adventure movie. Martin is your typical office guy, married with 2 children, living in Chicago. On a sudden day, he get's the news that a long forgotten family member has died and that he will inherit all its possessions... a sailing yacht in the Caribbean! Martin is over the top and tries to convince his family to fly over there and sail the yacht back to Miami. With no knowledge about boats, the four of them leave their scheduled life behind and begin their adventure. To assist them, they hire a delivery captain, Captain Ron. He's all about drinking, women, gambling... the complete opposite of Martin. The whole trip is hilarious and after you have seen it, you'll definitely want to go cruising! One of my favourites! This sailing movie was made in 1989 in Australia. When John and Rae lose their son in an accident, they decide to make a cruise on their sailing yacht, so that they can get over the loss. When they are some days out, they see a boat adrift. A man, Hughie, is rowing towards them and tells them that everybody on his ship died because of a disease... John finds the story a bit bizarre and goes to the abandoned boat to have a look. He discovers that Hughie is a dangerous psychopath and that they must get rid of him. In the meanwhile, Hughie sails away with the couple's yacht and Rae. Rae tries convincing Hughie in every way to return to John, but she's dealing with a complete lunatic! This is a very good thriller with a lot of suspense! This TV serie is made in 1999 in the UK and won an Emmy Award. It all happens in the period of the Napoleonic Wars and the French Revolution. 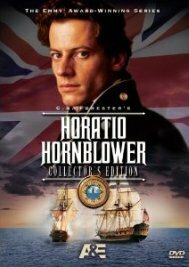 During the several films you see Horatio Hornblower joining the Royal Navy and going through all the ranks, from Crew to Midshipman, from Lieutenant to Captain and from Commodore to Admiral. He is a young guy, very courageous, full of principles and very skilled. The whole serie consists of 8 sailing movies and is of the highest quality. A must-see! 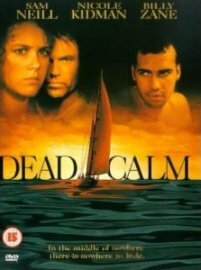 This sailing movie is made in 1992 in the UK and France. When Nigel and Fiona, an uptight British couple, decide to go on a Mediterranean cruise to Istanbul, they meet a quite eccentric couple. Oscar is American and Mimi is French. This is a superb psychological drama, worth viewing! This one was made in 2004 in the USA and is based on a true story. Susan and Daniel go on holiday in the Caribbean and want to do some scuba diving. They go out on a diving boat with a lot of other divers. During their dive, they leave the group for a while and when they surface, they see that their boat has left without them. They're in the middle of the sea, alone... Nobody in the diving boat noticed the miscount that happened. This one was made in 1997 in the USA and won 11 Academy Awards! The story of RMS Titanic gave birth to a lot of movies. The biggest ocean liner from that time, that hit an iceberg on the 14th of April 1912, will always stay in people's memory. Here, we see how 1st class passenger Rose and 3rd class passenger Jack fall in love on Titanic's maiden voyage. 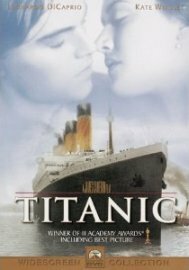 The couple has a hard time from Rose's family and at the end, even the ship breaking apart, cannot dissolve their love. In every aspect, a monumental film amongst sailing movies! This movie was made in 1996 in the USA. It's based on a true story, that of the sinking of the brigantine 'Albatross' on the 2nd of May 1961. When a bunch of American teenage boys are sent on a school sailing trip, they get to know the 'Skipper'. This person will teach them all about discipline, get them experienced and will fill in the other blanks they have, according to their parents. 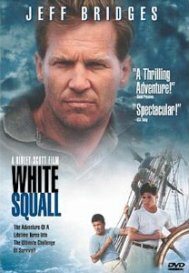 One of the real sailing movies! This movie was made in 2000 in the USA and the UK. It's about the quest for a clock that would keep time accurately at sea. 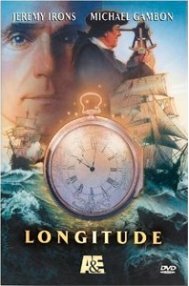 This was necessary to know a ship's longitude (its position in degrees, minutes and seconds East or West). The latitude they know by looking at the sun, the moon and the stars. In the 18th century the British Parliament set up a prize for the person who could invent the marine chronometer. Mr. Harrison succeeded in this, but it took him a great deal of sacrifice and frustration. 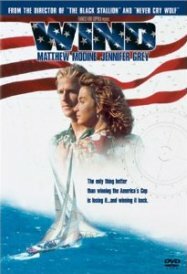 This sailing movie was made in 1992 in the USA. The main theme of this film is the battle between the Americans and the Australians in the America's Cup. The whole movie is inspired by real events. This is definitely one of the best real sailing movies. It also has a romantic storyline in it. This film is made in 1984 in the USA and UK. 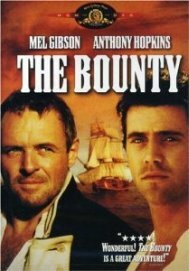 This is the 5th version of the true story of the 'Mutiny on the Bounty'. In this film we see, after the cruelty onboard that leads to the mutiny, both the stories of Lieutenant William Bligh and Master's Mate Christian Fletcher. Fletcher and his crew are trying to keep out of the reach of the British punishment that will surely come on them. And Bligh and his crew try to get safely to the Dutch West Indies in a small longboat. 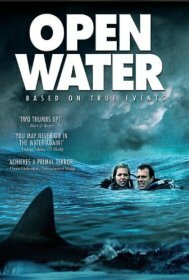 A must-see amongst sailing movies! What are Your top 3 sailing movies of all times? There are so many movies around, either young or old, that have boats, ships or oceans in it! 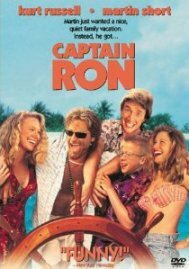 Share you favorite sailing movies here with your fellow sailors! Tell us why you love them and which emotions they bring up in you! Give Your Top 3 page a title! Click here to see the rest of the form and complete Your Top 3!